ROSALIE JOSEPH of Rosalie Joseph CASTING! Rosalie is the former Vice President of ABC Primetime Casting so she is THE television instructor to work with!! Credits: Blindspot, NBC's The Blacklist: Redemption, A Raisin in the Sun, The CW's The Tomorrow People, ABC's Body of Proof, NBC's The Mysteries of Laura, The Godfather: Part III, The Blue Lagoon, and Jack. Rosalie will work with you over the three weeks to help improve your audition technqiue. FOR THE FIRST CLASS, please bring in your own sides (with a copy for the reader). The sides can be from a past or upcoming audition or a scene you would really like to work on perfecting on-camera. She will then assign you material for the 2nd and 3rd weeks based on your actor webpage, 1-3 days in advance via our online system. Please keep an eye out for your sides online. Your scenes will be recorded. After class, you will receive an email with a link so you can watch your work at home. Please go to MY ACCOUNT to create your One on One Webpage. Be sure to upload your headshot and enter in your credits. It's especially important so Rosalie can view your online resume ahead of time to assign appropriate sides. Please bring your headshot and resume to the first class, although Rosalie will not collect them. She will view them during class time. Class Structure is subject to change. 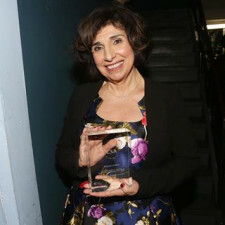 Rosalie Joseph is an Emmy-nominated Casting Director who was formerly the NY Vice-President of ABC Primetime Casting and NY Director of Primetime Casting for CBS, where she cast numerous pilots, movies, specials, and series. Her credits include: NBC's BLINDSPOT, the first season of a major spinoff series, THE GODFATHER: PART III with Al Pacino, THE BLUE LAGOON with Brooke Shields, The CW's THE TOMORROW PEOPLE, ABC's BODY OF PROOF, NBC's THE MYSTERIES OF LAURA with Debra Messing, JACK with Robin Williams, and many more.